Accueil Produits Bande originale La bande originale de “Journal intime d’une future star”. 2. Ready (par Cherie) – 3:22. 3. Ladies Night (par Atomic Kitten featuring Kool & the Gang) – 3:06. 4. Perfect (par Simple Plan) – 4:07. 5. Tomorrow (par Lillix) – 3:39. 6. What Are You Waiting For (par Lindsay Lohan) – 3:19. 7. Na Na (par Superchick) – 3:45. 8. 1, 2, 3 (par Nikki Cleary) – 3:28. 9. 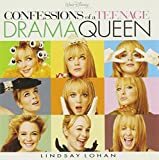 Don’t Move On/Living for the City/Changes Medley (par Lindsay Lohan) – 2:22. 10. Boom (par Fan 3) – 3:20. 11. A Day in the Life (par Lindsay Lohan) – 3:19. 12. The Real Me (par Alexis) – 4:22. 13. Un-Sweet Sixteen (par Wakefield) – 2:55. 14. Only in the Movies (par Diffuser) – 2:55.